Gaming giant EA has released a new gameplay trailer for its upcoming first-person shooter release with the recent Champions League Final seeing the company out a new Medal of Honor: Warfighter trailer. 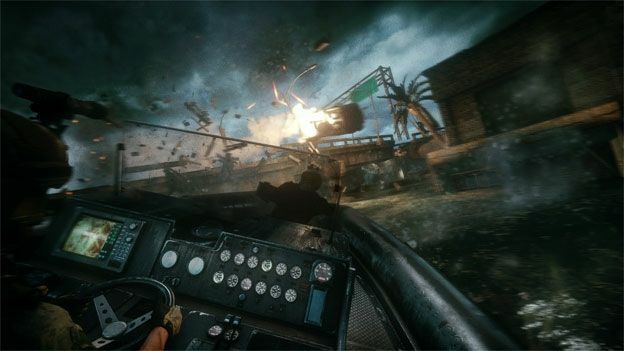 Landing alongside a new Call of Duty: Black Ops 2 trailer, the new Medal of Honor offering has given a tantalising insight into the title that is likely to challenge Activision's annual COD release for FPS gaming supremacy later this year. Having been debuted during the halftime interval of Saturday's dramatic Champions League Final, the EA produced trailer has revealed a number of gameplay features and plot aspects heading to the follow-on to the 2010 released, franchise reviving, Medal of Honor release. Confirmed as heading to launch in the weeks leading up to the highly competitive yet massively lucrative pre-Christmas period, a Medal of Honor: Warfighter release date has been set for October 23rd in the US with a UK arrival pencilled in for October 26th. For those eager to ensure their copy of Warfighter is secure, the newly outed trailer has revealed that pre-orders of the COD rival will see gamers handed a US Navy Seal Sniper unlock to further enhance their gameplay experiences. What do you make of the new Medal of Honor: Warfighter trailer? Will EA's FPS offering topple the annual Call of Duty dominance? Let us know what you think via the T3 Twitter and Facebook feeds.